Our mission is to provide the best services and creative solutions to the clients and help them grow together in this fast paced global financial market conditions. 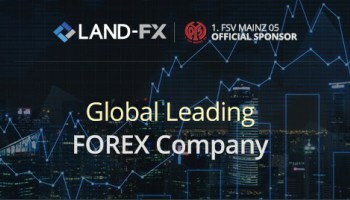 Land-FX promises to provide an optimal trading environment with stable system for every trade and to support our clients with the best possible assistance. For the safety of our clients' funds, we chose NZ Westpac bank as our custodial account. We believe New Zealand is a safe and trustworthy country in the financial fields. We do our best to keep our clients' funds safe and we are open to receive complaints 24 hours. We believe that is an essential element for our business and the company to grow. To put your trading account under our IB group you need to send an email to account@land-fx.com. Find below the sample of the email. Please place my account no. : ............... (put your account number with Land-FX) under IB 1810 - Financial Trading Art. *The Rebates are calculated for one round turn lot (100,000 units) for Currencies, (100 oz) for Gold, (5,000 oz) for Silver, (1,000 bar) for Oil, and (one contract) for Equity Index CFDs. **Rebates are not paid on the % of a trade corresponding to the % of bonus money used as margin for the trade, as calculated by the broker.